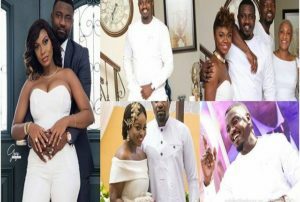 Ghanaian actor John Dumelo is currently engaged in a traditional wedding with his long-time secret girlfriend today, May 12, somewhere around Spintex in Accra. The actor is tying the knot to his fiancée, Gifty Mawunya, who has jumped from obscurity to suddenly the most sought after lady in the country. It is understood that Dumelo is holding a traditional ceremony at the residence of his fiancée, Mawunya, at Spintex now with very close friends and family members in attendance. It was gathered that Mawunya is a close friend of popular actress, Nadia Buari, who is suspected to have midwifed the relationship. GR@pevines also have it that Dumelo is very busy preparing for the D-day, the reason he has been less active on social media, lately. 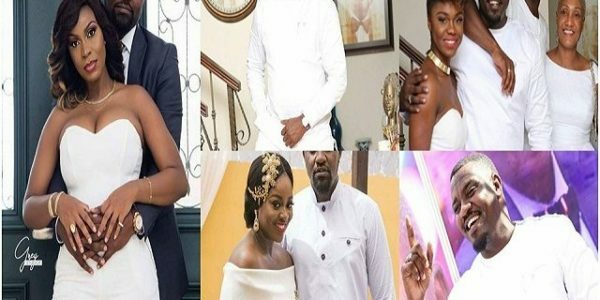 A video of Dumelo’s arrival at his ongoing Traditional marriage ceremony was also shared online by the media house. The dark, lovely and handsome actor can be seen rocking a Kente cloth with Military men guarding him.